There's so much to see and do in London that it can be hard to know where to start. Here's how I maximized my time to get to some of the top attractions in one week's time. London, England is one of the world's greatest cities. To visit London is to a visit a city with over two thousand years of history, from its settlement by the Ancient Romans through the glorious years of the global British Empire. 20th century London alone survived two World Wars, and then became perhaps the most important city in the world for the explosion of rock and roll music. In 2012, London hosted the Olympic Games, making it a very exciting time indeed to visit. It is impossible to take in all of London's sights and treasures in just a few days - yet in a week's time one can sample a good portion of the highlights and begin to get a feeling for the city and her history. Based on my own recent trip to London, I've compiled the following suggested itinerary of things to try to see and do in seven days' time. You'll get a taste of everything - with enough flexibility built in to the schedule to modify or expand upon as you wish. 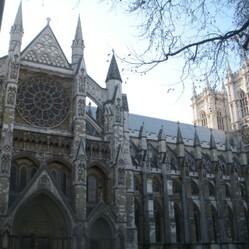 Photo above: Westminster Abbey, one of London's top sights to see. Have You Ever Been to London, England? Have you ever been to London before? Yes, many times - I love the city! I've been once or twice and want to return. I've been once or twice, and probably won't go back. I've never been, and it's not high on my travel destination list. I actually live in London and am just here to see if you really know your stuff. Because London is so vast a metropolitan area, it might be difficult to know where it would be best to pick a hotel to stay in. My suggestion would be to stick to the West End for convenience and location for several reasons. For one, this section of town is active most all of the day and evening whereas other areas shut down almost entirely after daytime business hours are over. Therefore you'll have no trouble finding places to eat or drink whether for breakfast, lunch or dinner, or all throughout the day. You'll be right in the heart of the theater district, should you chose to enjoy some of London's fine stage productions. You'll be in walking distance or a very short taxi ride to many other destinations you'll want to see, plus there are several Underground stations right in the area to get to wherever else you might wish to go. Rick Steves' tour guides are always worth taking with you and reading up before visiting anywhere in Europe! Get the lowdown on your best tourist destinations, booking tickets, travel connection tips, dining and lodging bargains, and much more. 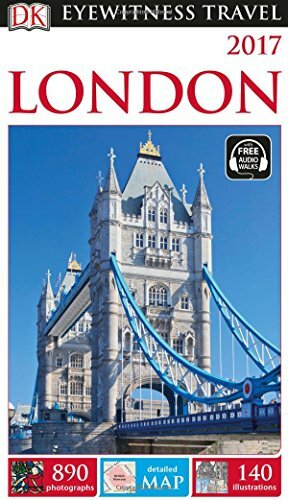 His London guide is easy to read and full of great, useful information for anyone "new" to the city. 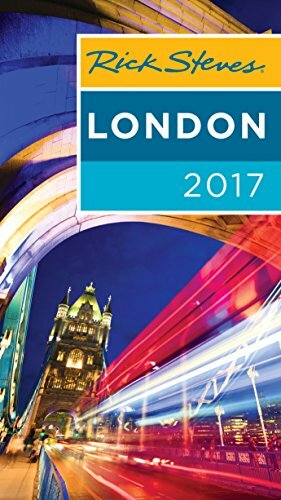 Eyewitness Travel's London guide is great for those who want more in depth information on the history, art and literature of the city. It offers great maps, colorful illustrations, and highlight guides to many of London's best museums, parks and other notable destinations. On one's first day in London, I would suggest spending it focused on the true heart and core of the city - indeed, the square mile still known as The City of London. In medieval times, this was the full extent of the city - and also where the Romans had first established Londinium and where you can still find Roman walls and ruins today. A good place to begin your tour is St. Paul's Cathedral, the mother church of London and a showcase of fine English Baroque architecture. A church has existed upon this site since AD 604, and many important services have been held at St. Paul's, including the funerals of Lord Nelson, the Duke of Wellington (whose tombs can be found in the crypt) and Sir Winston Churchill, as well as the marriage of Prince Charles and Lady Diana. If you're energetic and in good physical shape, you can climb to the top of the dome for stunning views of London and the surrounding area - a great way to take in all of the city around you. Of course, you can also take in the views by climbing the Monument to the Great Fire of London, which commemorates the tragic fire of 1666 that gutted the city within the Roman City Wall. You might also wish to visit other historic buildings within the City such as Dr. Johnson's House, The Royal Exchange, Mansion House, and the Guildhall. Just to the southeast of the City is the Tower of London, where one can easily spend an entire afternoon walking through, exploring, and learning about England's royal history. This historic castle dates back to 1066 and the Norman Conquests, with the White Tower built in 1078 by William the Conqueror. The Tower has seen many uses in its near thousand-year history, as a royal residence along with a prison and execution grounds for many famous figures throughout the centuries. It was also used as an armory, a treasury, a zoo, the public records office, and also as the home of the Crown Jewels of the United Kingdom. Today visitors can explore the grounds and buildings of the Tower, including a museum dedicated to the Royal Fusiliers, the Jewel House, and a memorial marking the execution site of Anne Boleyn, Lady Jane Grey, William Hastings and others. If you still have some time (and energy) left after exploring the Tower grounds, other nearby sites of interest include the famous Tower Bridge (which has its own museum on site) and All Hallows by the Tower, the oldest church in London - and where William Penn was baptized! Another view of the White Tower. Watching the sun set over Tower Bridge. Need a drink and maybe some good pub grub after exploring the City? Try the Hung Drawn & Quartered pub near All Hallows Church. Interior artwork commemorates those who lost their lives in the Tower of London. Of course all who come to London are likely to want to see Buckingham Palace, the official London home of the British sovereigns since 1837. Check the schedule and show up early if you wish to experience the ceremony of the Changing of the Guard. Then, if open, you might want to visit the Royal Mews or the State Rooms. Afterward, enjoy a leisurely walk through St. James's Park, where curious and tame squirrels and ducks are likely to come seeking cookies, sandwich crumbs, and whatever else you might have to offer them. Be a tourist and get your photo taken standing next to the Horse Guards, then stroll down Whitehall to take in the sight of Big Ben before entering Westminster Abbey. This primarily Gothic-style church is rich with history and incredible architecture, however the immense crowds of tourists can make it difficult to take it all in. I would recommend skipping the audio guide and paying the small extra fee for a Verger-led tour, to make sure you don't miss anything important. Since 1066, Westminster Abbey has been were all coronations have taken place and at least 16 Royal Weddings (including the wedding of Prince William and Catherine Middleton). Until 1760 and the death of George II, most Kings and Queens were buried in the Abbey, and one can see their elaborate and impressive tombs here today. Many other notable figures from history, science and the arts are buried at Westminster, including Charles Dickens, Isaac Newton, Rudyard Kipling and Geoffrey Chaucer. Please note that no photography is allowed inside Westminster Abbey, and as with St. Paul's Cathedral there is a rather hefty admittance fee unless you are visiting during religious service hours (when no sight-seeing explorations are allowed). London is an art lover's paradise, with numerous museums boasting collections of some of the world's greatest masterpieces. An artist or aficionado of the arts will surely need to plan more than one day to see the best of what London has to offer, but for the casual enthusiast you may want to pick and choose between some of the top collections to see only those works most to your tastes and interests. The other nice thing is that all of these museums are free to visit - although suggested donation amounts are posted should you wish to contribute to the maintenance and upkeep of these artistic treasures. Special exhibitions at these museums generally require tickets and an admission charge as well. Of course, the National Gallery must be at the top of your list of art museums to visit. Founded in 1824, the National Gallery is home to over 2,300 paintings, showcasing Western Art from the mid-13th Century through to the 19th Century. It is one of the world's most important collections of Western Art, featuring masterpieces by such artists as Leonardo da Vinci, Caravaggio, Bellini, Titian, Turner, Vermeer, Gaugin, Monet, Van Gogh, and so many more. If you only wish to spend a few hours here, be sure to at least hit the museum's 30 highlight paintings - or search the complete list of artists to plan your own highlight trip. After a morning in the National Gallery, why not enjoy lunch at their lovely Cafe? The food is quite good and often features special fixed price menus related to current special exhibits. The National Portrait Gallery is right next door to the National Gallery, and worth at least a brief visit - or a much longer one if you are a portrait artist yourself and interested in studying in detail the techniques of master British portrait artists through the centuries. Over 160,000 portraits of famous British men and women can be found here, in this museum founded in 1856. It is an interesting exploration of British history, from Kings and Queens through to modern rock stars. Next up on your art tour would be the Tate Britain, which features British art from 1500 through today. 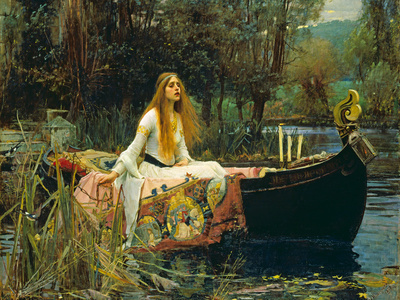 The Tate Britain is home to the world's largest collection of works by J M W Turner, and also features works by Francis Bacon, John Constable, Joshua Reynolds, and John William Waterhouse's famous painting of The Lady of Shalott, shown above. From the Tate Britain you can actually take their shuttle ferry right to the Tate Modern, which houses international modern and contemporary art. 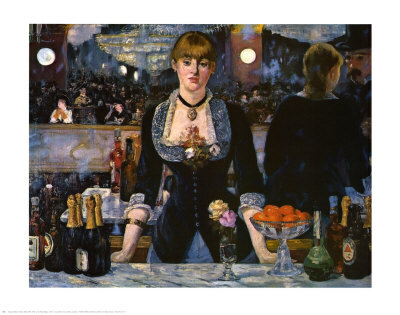 Major artists from Salvador Dali to Pablo Picasso can be found in the museum's collection of surrealist, pop art, abstract expressionism, and fauvism. Depending on your interests and time in the city, you might wish to check out these other notable art collections and museums in the London area. Billed as "the world's greatest museum of art and design", the V&A houses a permanent collection of over 4.5 million objects of art in virtually every media, from ancient times to the modern day. A small museum housing a still remarkable collection of art, particularly of the impressionist and post-impressionist periods. There are also classical art masterpieces by such artists as Van Dyck, Fra Angelico, Bottocelli and Tiepolo. A national museum located in a historic 18th century London home. Features a fine collection of art and decorative items, including 18th century French paintings, Old Masters, porcelain and furniture. Head back to Buckingham Palace to enjoy an ever-changing collection of art treasures from the Queen's own private collection. Art, photography, books, drawings and furniture are only some of the items to be found and put on rotating display. While most London museums normally close between 5-6pm, they typically have 1 or 2 nights a week where they stay open until later, up until 9-10pm! So check schedules and plan to squeeze in at least one museum during evening hours. 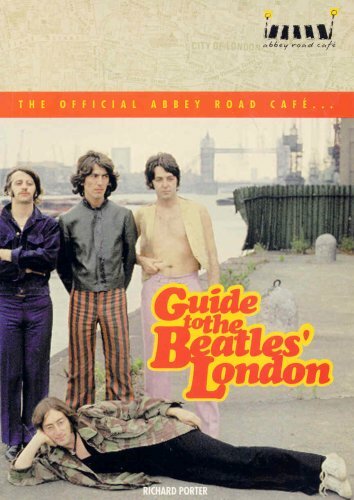 Author Richard Porter is a true expert of Beatles facts, trivia and locations - indeed, he is one of London Walks' guides for their Beatles walking tours! Get his book to learn more about the locations you can find in London to explore either on your own, or with his expert guidance. All London Walks generally meet near a Tube stop, though as some stops have multiple entries, give yourself 10-15 minutes to make sure you're at the right place. Just look for a guide holding up a London Walks brochure. To visit The British Museum in London is to take a tour of world civilization and human history. It is considered one of the world's greatest museums and features an astounding collection of over 8 million artifacts, from Ancient Egypt, Greece, Rome, Asia, Africa and the Middle East. If spending a full day contemplating ancient artifacts seems too much to bear, hit the museum in the morning for its most important highlights including the Rosetta Stone, Elgin Marbles, and the Lindow Man. Then take your choice of afternoon activities, such as shopping at Harrods or Carnaby, exploring the Royal Botanic Gardens, hitting another art museum, or perhaps take another London Walk. Not sure how to spend your nights in London? Why not catch a show or musical in one of the West End's many theaters? You can often get great half-price tickets the day of a show at the city's tkts booths or agents. As your trip to London begins to grow close to an end, why not get a bit outside of the metropolitan hustle and bustle and take a ride down the Thames River to Greenwich? A half-hour ferry ride (typically with commentary provided along the way by an entertaining guide) will land you in this historic, small district of South London with plenty of history and sites to see. Greenwich has long played an important part in Maritime history, and here you can visit and see the Prime Meridian - where many tourists pose for photos with one foot in the Western Hemisphere and one foot in the Eastern Hemisphere. In Greenwich, you can also see the historic Cutty Sark clipper ship (currently being restored in time for the Olympics), visit the National Maritime Museum and Royal Observatory, take in the art and Palladian architecture of the Queen's House, and marvel at the stunning Painted Hall. From there, stroll through the charming and quaint streets of the town, filled with unique shops, good restaurants and pubs, and sample the food, arts and crafts in the covered Greenwich Market. After you're done exploring, head back to the City of London by foot and then by rail. Walk beneath the Thames through the Greenwich foot tunnel, an experience not to be missed. You'll arrive on the other side of the river just outside the Island Gardens Docklands Light Railway station. From there it's easy to connect up to other Underground lines. So Much Yet to See! * The Churchill War Rooms. Those interested in World War II history should not miss this fascinating museum and memorial, where you can see the actual Cabinet War Rooms utilized by the government to shelter the country's most important government figures - and where critical decisions were made during those challenging years. The attached museum celebrating Winston Churchill's life and accomplishments is fascinating as well with many hands-on exhibits and displays. * Visit the Clink Prison Museum. If you have a taste for the macabre, check out this unique museum. Clink Prison was one of the oldest in England, and here you can see torture devices and learn about the famous (and infamous) prisoners who spend time here in the past. * The London Eye. Now that you've explored the city on foot, take a ride on the London Eye to get a bird's eye view! * Catch a football game! Love soccer - or what the rest of the world outside of America knows as "football"? Then you might want to catch a game while you're in London and enjoy the sport with the city's enthusiastic fans. * Visit Mayfair and Hyde Park. One of London's most exclusive, attractive districts is Mayfair, where you can stroll through quiet residential streets of stately Georgian homes and shop at fine art and antique shops. From there you can visit Hyde Park and take in such sites as Speakers' Corner, the Diana, Princess of Wales Memorial, or simply relax before heading home by enjoying the natural beauty and gardens of the park. * See more art. If you're an artist or art lover such as myself, you will likely need more than just one day to see more of the incredible works in London's museums and collections. In fact it took me three visits just to survey as much of the National Gallery alone as I could! * Visit the Museum of London, to learn more about the city's history - and reflect back on all of the places you've visited and seen in the past week. * Take another day trip. While Greenwich is one of the closest - and easiest - day trip locations from London, there are many other sites to consider visiting if you have more time, either by train or arranged bus tour. You could visit Bath, Cambridge, Windsor Castle, Stonehenge... so many possibilities! The "Sherlock Holmes" is a great stop for classic "pub grub"
London's streets can be confusing - and you'll want a good travel map to take with you wherever you may walk or go while in the city. Streetwise maps are always my favorite because they're durable, easy to read, and comprehensive. The Official London City Guide. Get the scoop on great hotel and travel deals, top destinations, as well as find out what's going on in London right now! An "independent and opinionated" guide to visiting London. Check out TripAdvisor's London, England section for opinions from thousands of travelers - just like you! A large web resource for tourist information on the city. Get the scoop on what's hot in London right now - restaurants, shopping, hotels, attractions, events and more! Your photos are amazing. I am sorry you lost a day . I hope your exhibition was wonderful. We were there specifically for the once-in-a-lifetime Da Vinci exhibit at the National Gallery...up two days in a row at 5am to get in line for tickets and it was well worth it. If we'd had more time we would have explored further (we even lost a day due to a flight cancellation), so next time! These photos are amazing and I assume you took them yourself. They show the best sites to visit and capture your enjoyment. We hardly ever go to London. My husband was born and lived 25 miles from London and never went at all when he was younger. I wasn't aware that Prince William and Princess Catherine were married there. I don't think I ever considered where they had got married to be honest. I think, ... I was last there to see a show a few years ago. So much to do, how did you manage in one week?